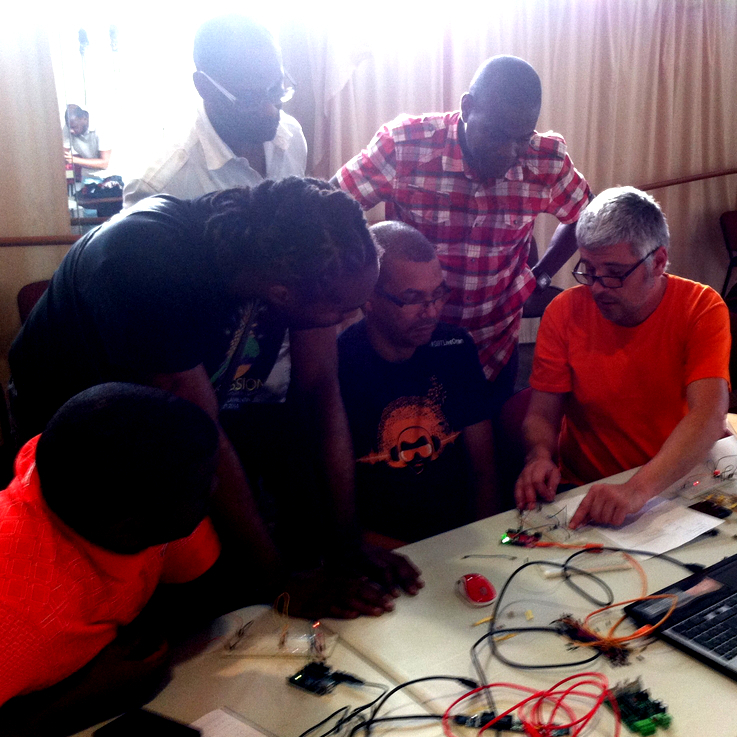 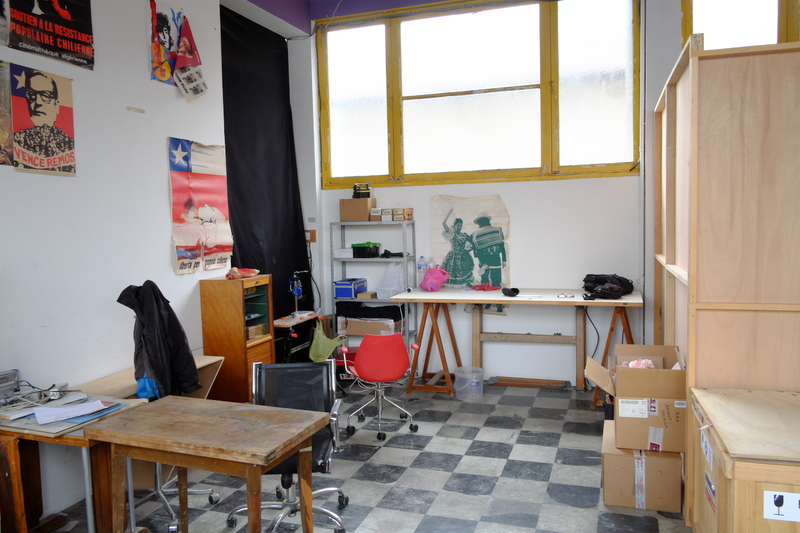 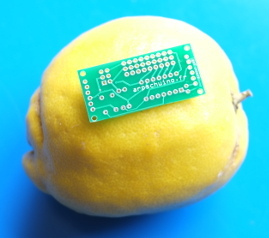 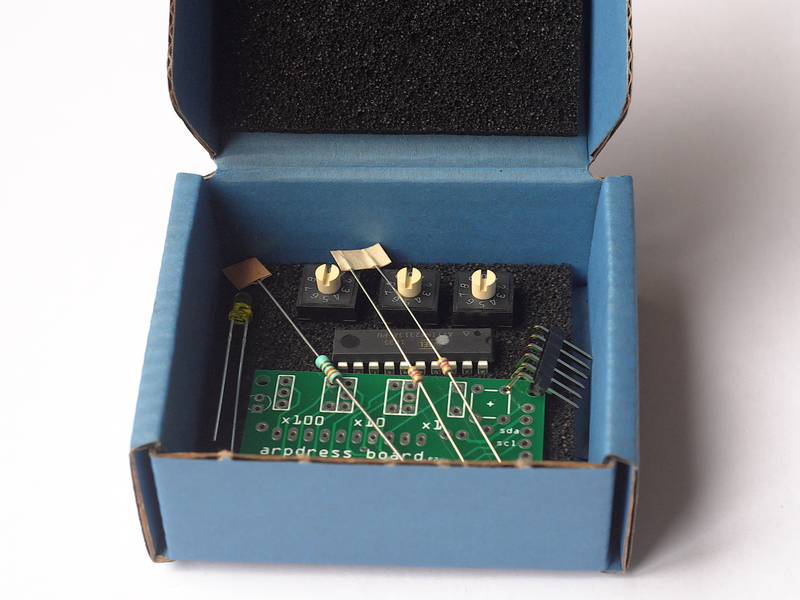 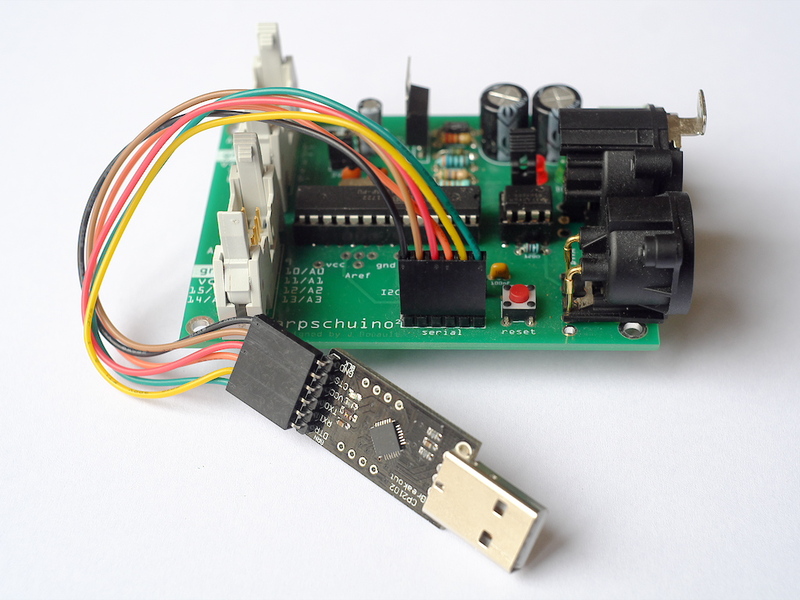 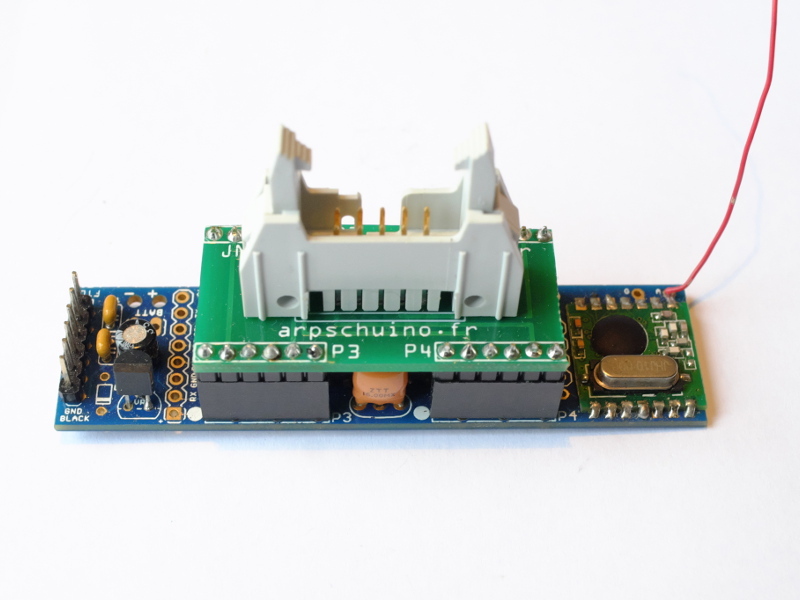 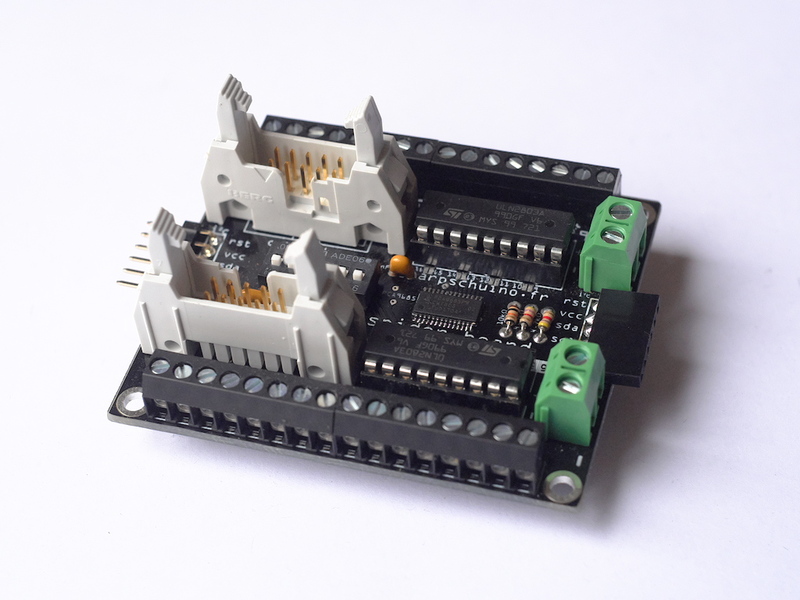 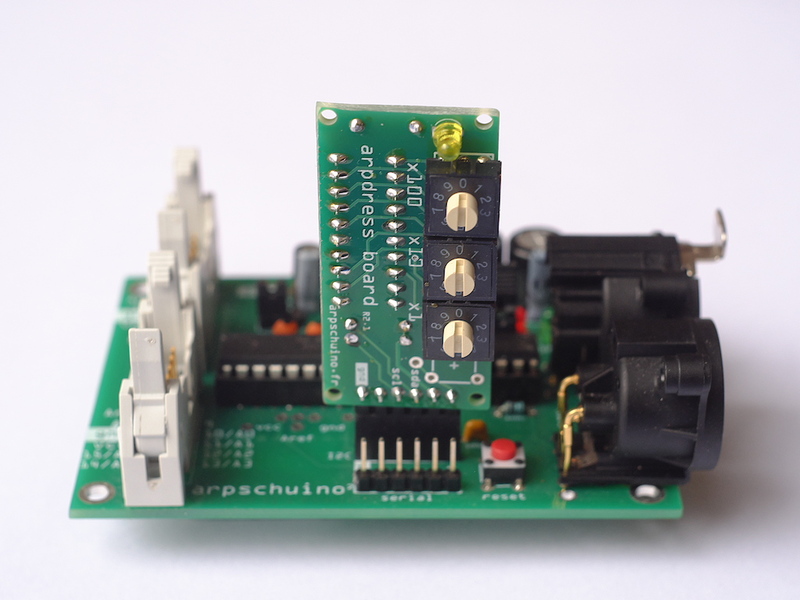 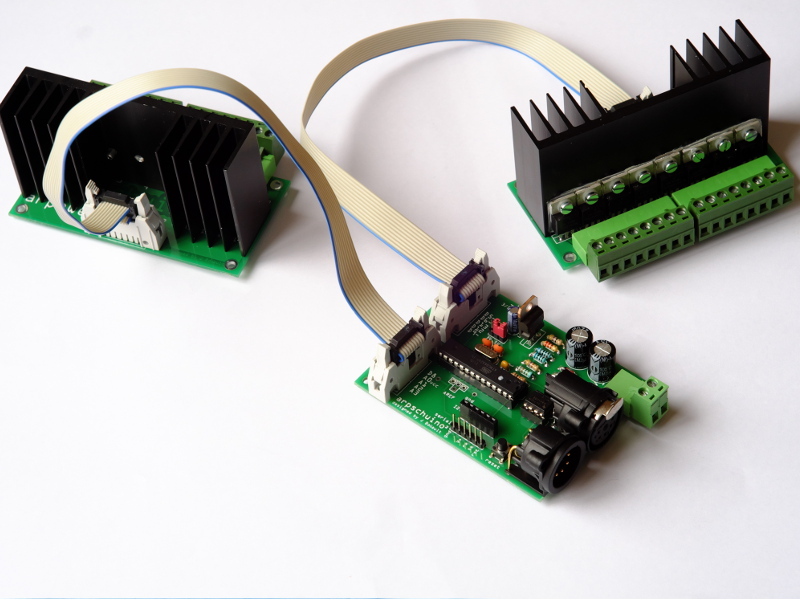 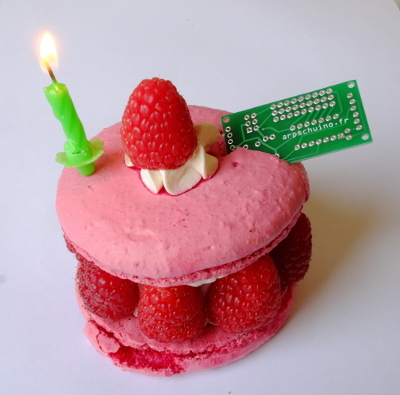 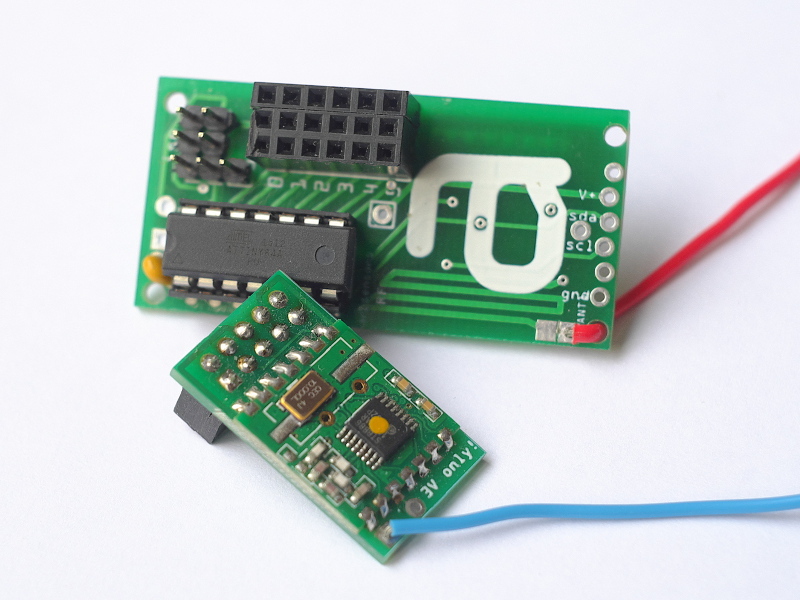 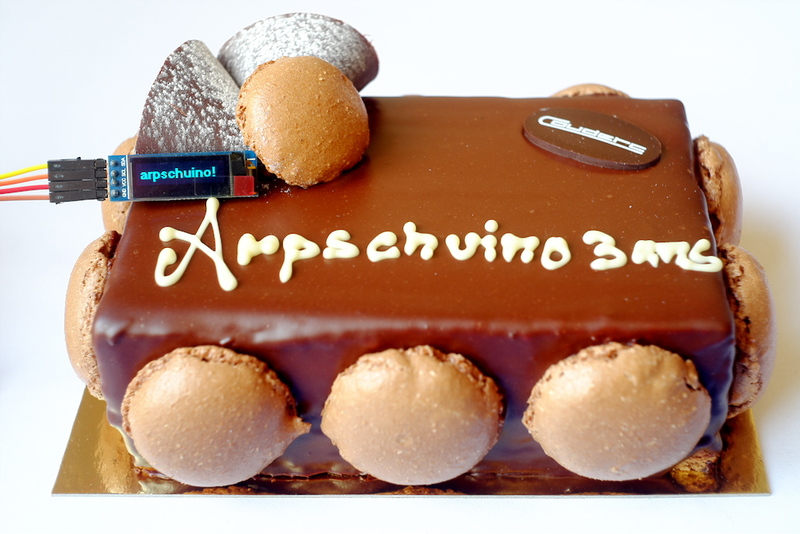 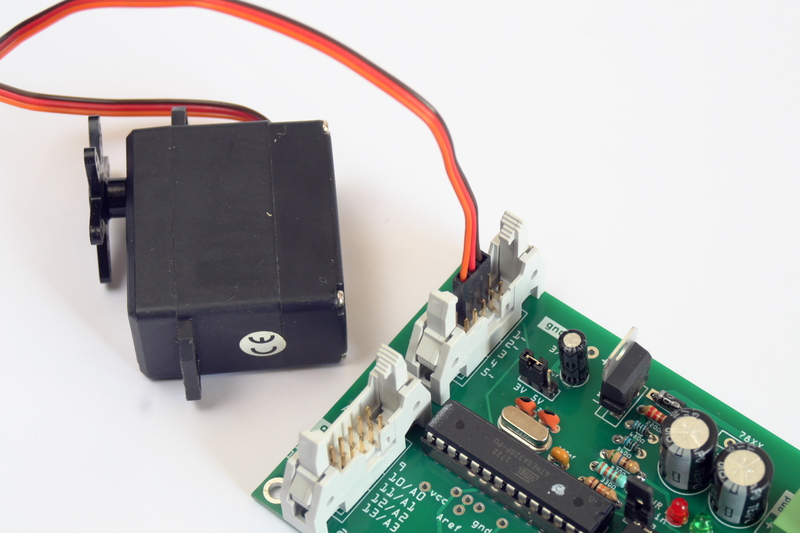 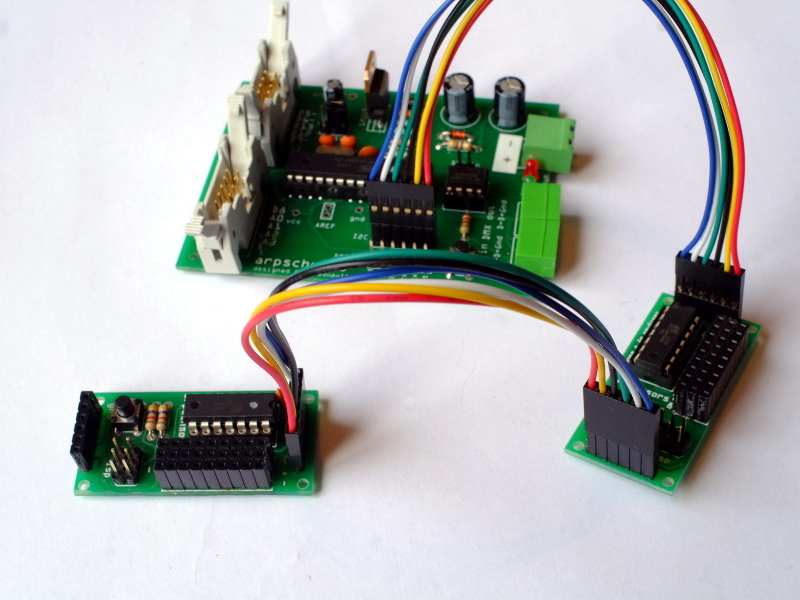 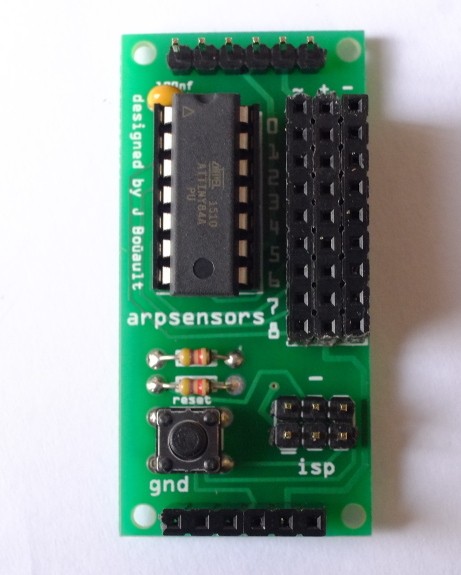 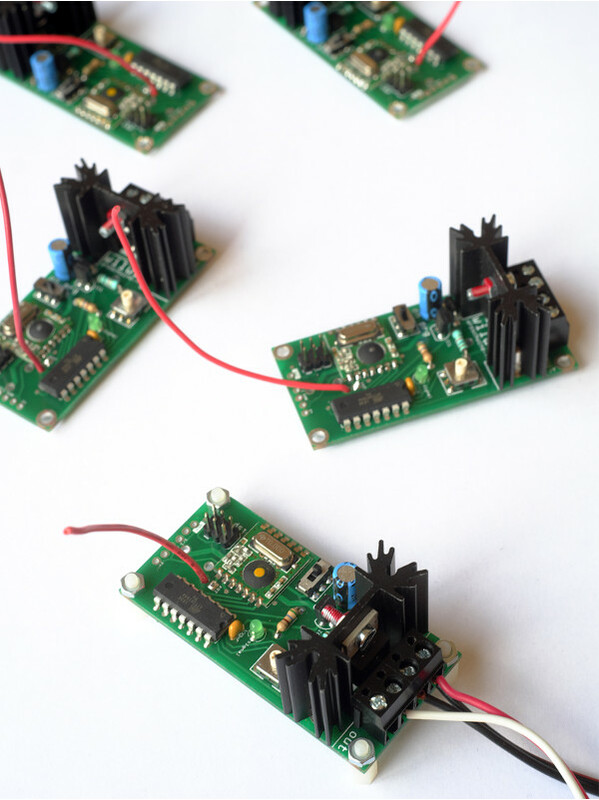 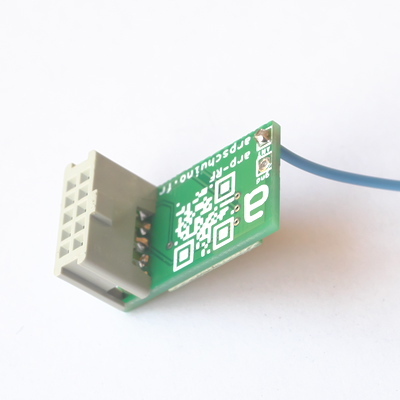 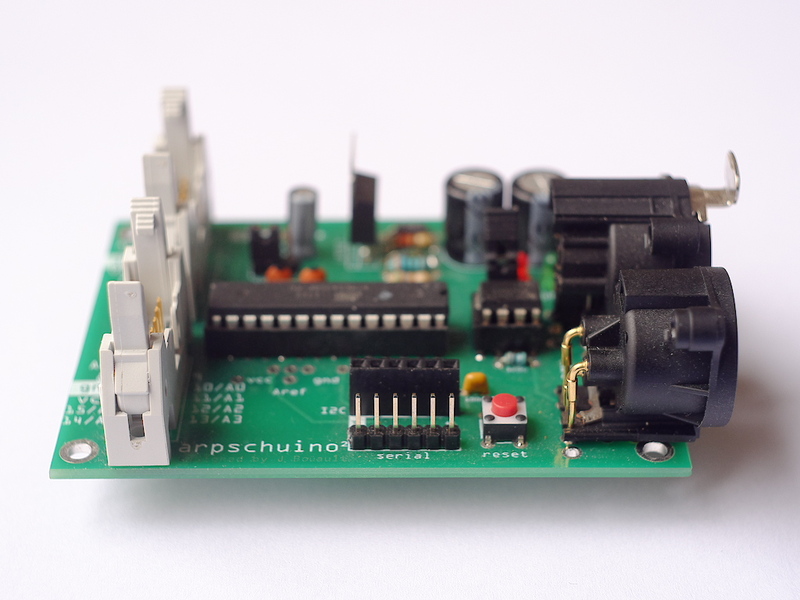 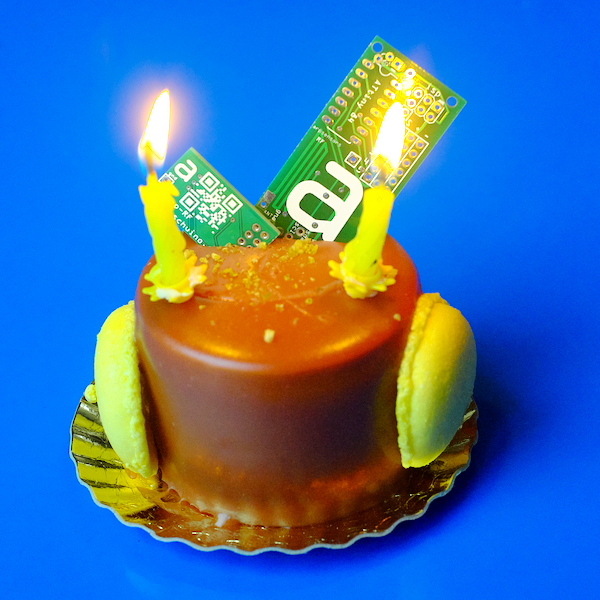 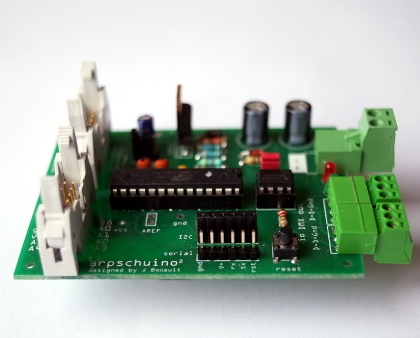 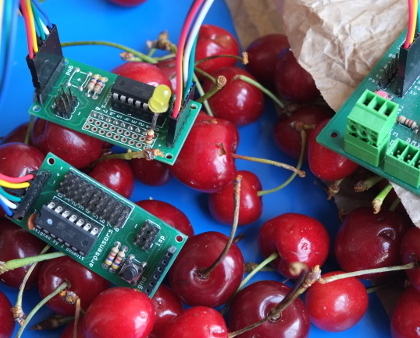 The arpschuino is based on the same micro-controller that the Arduino boards, the ATmega 328. 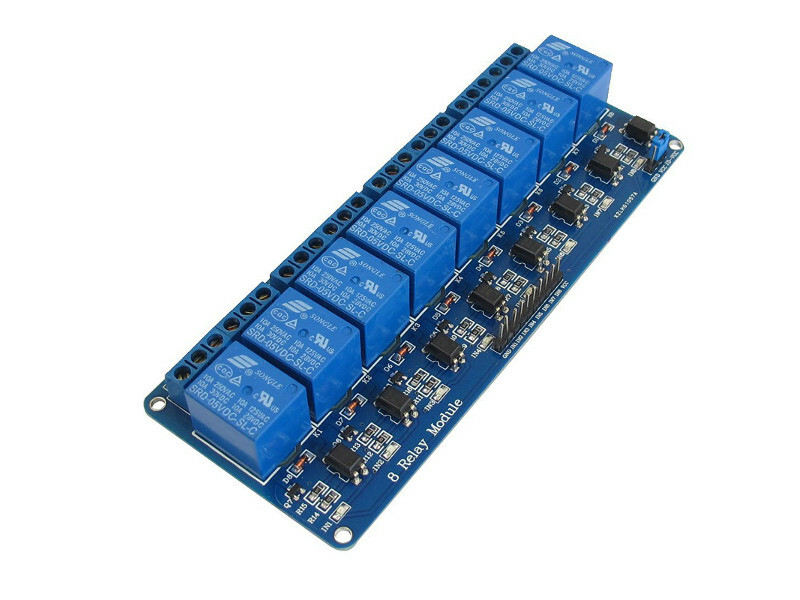 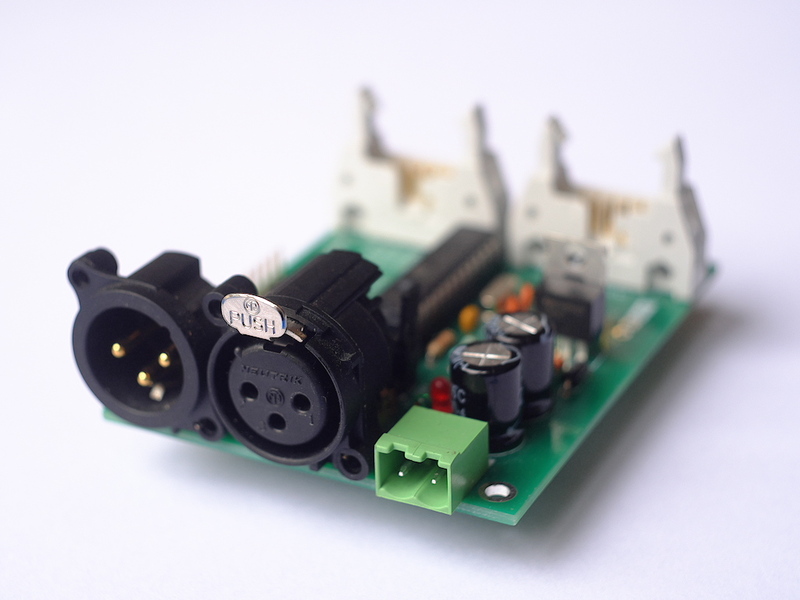 It provide DMX connexion, transmission or reception. 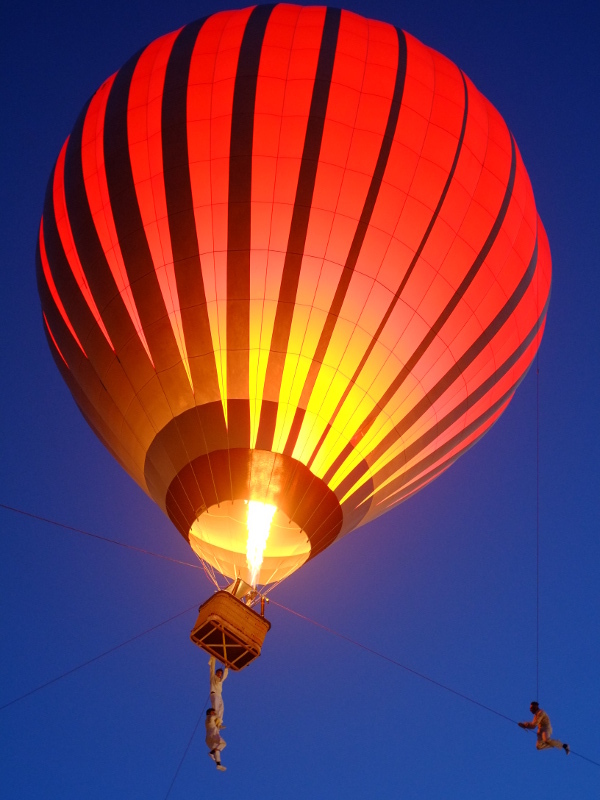 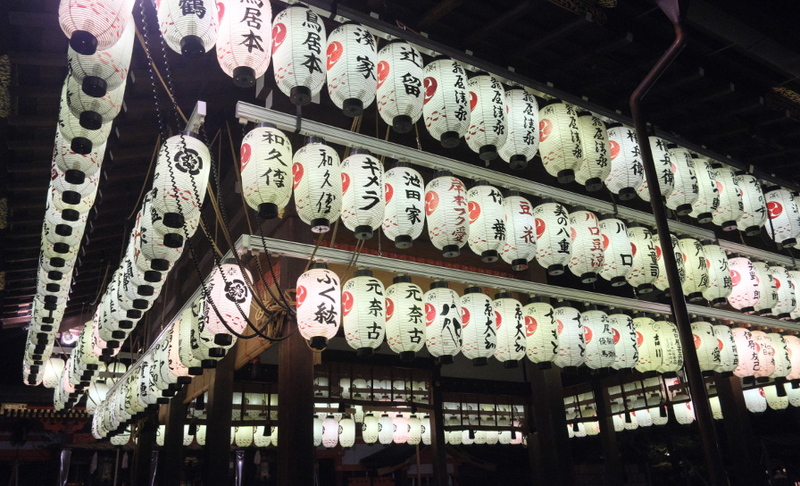 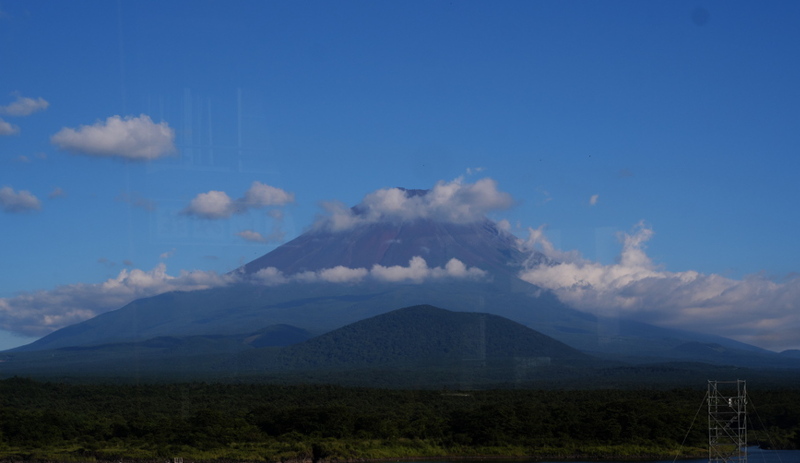 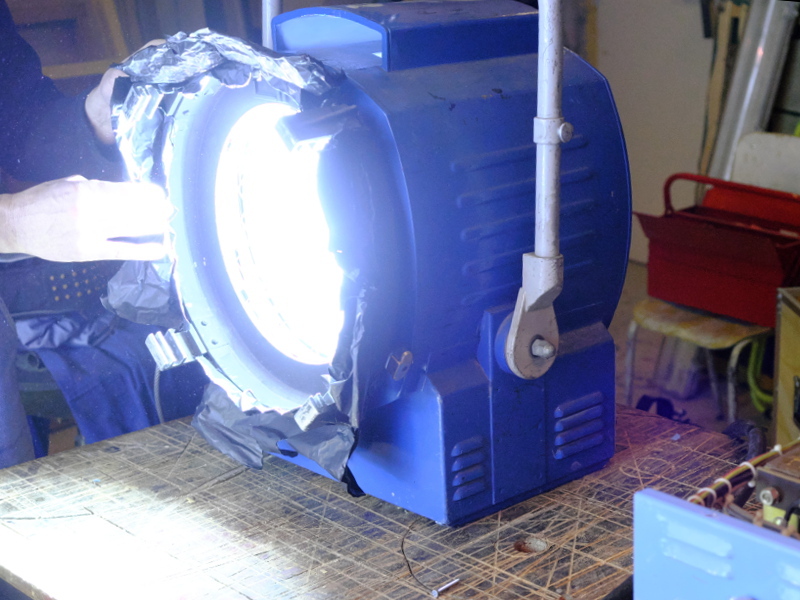 To be used on show or other difficult conditions, regulation was particularly neat. 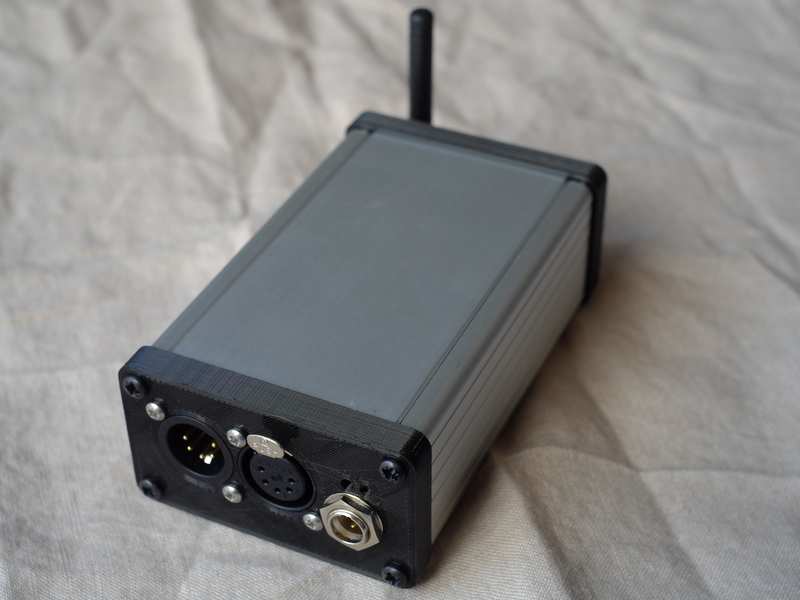 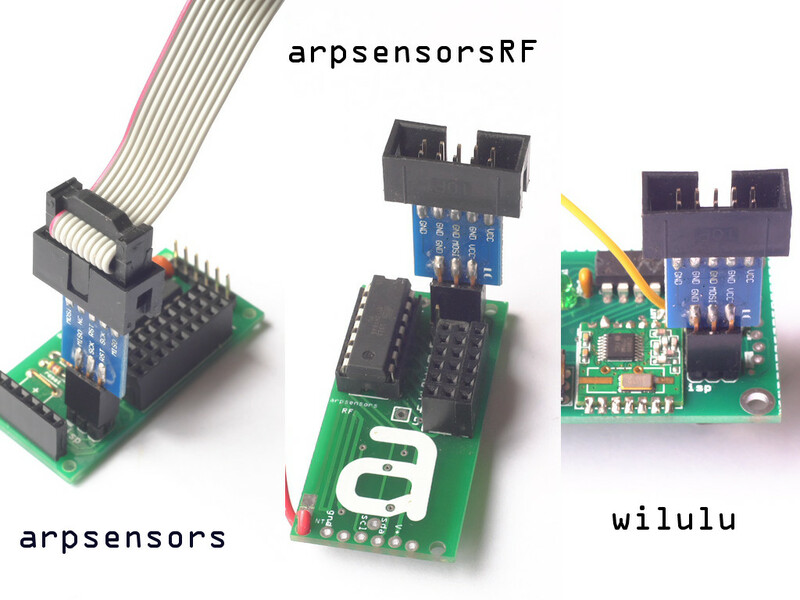 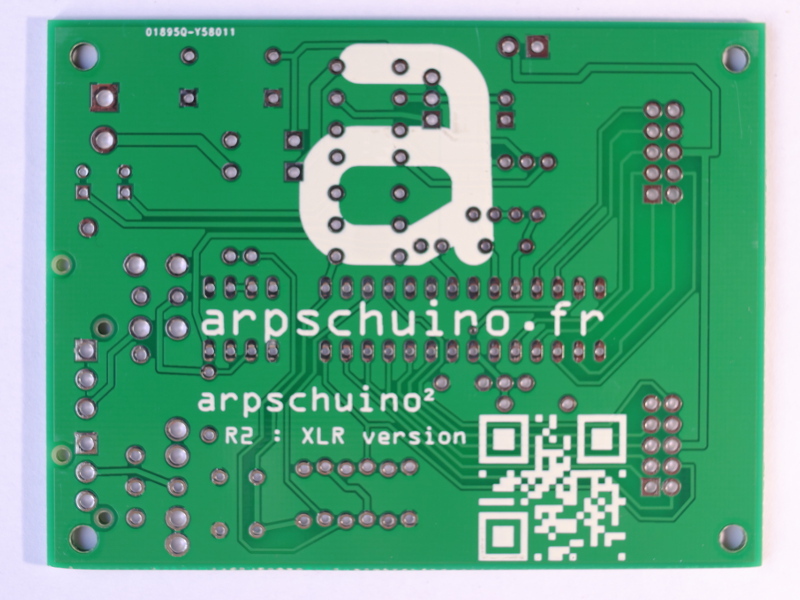 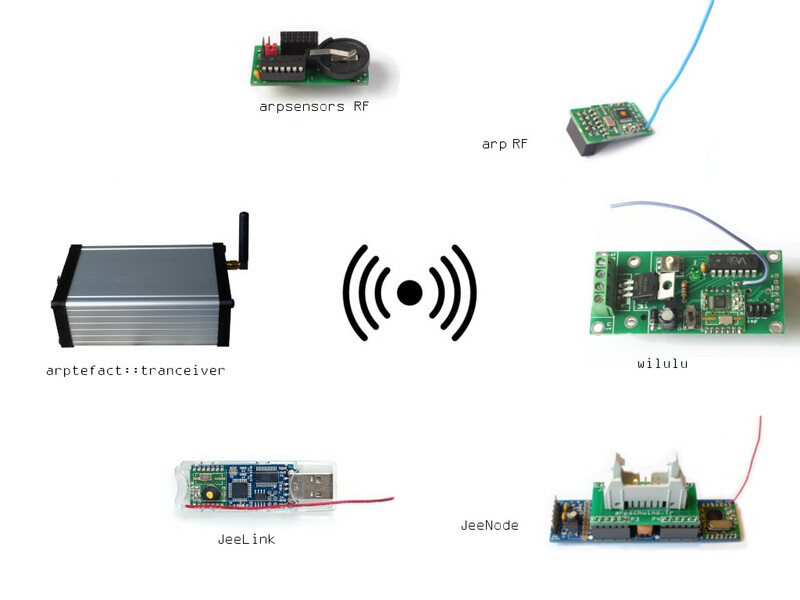 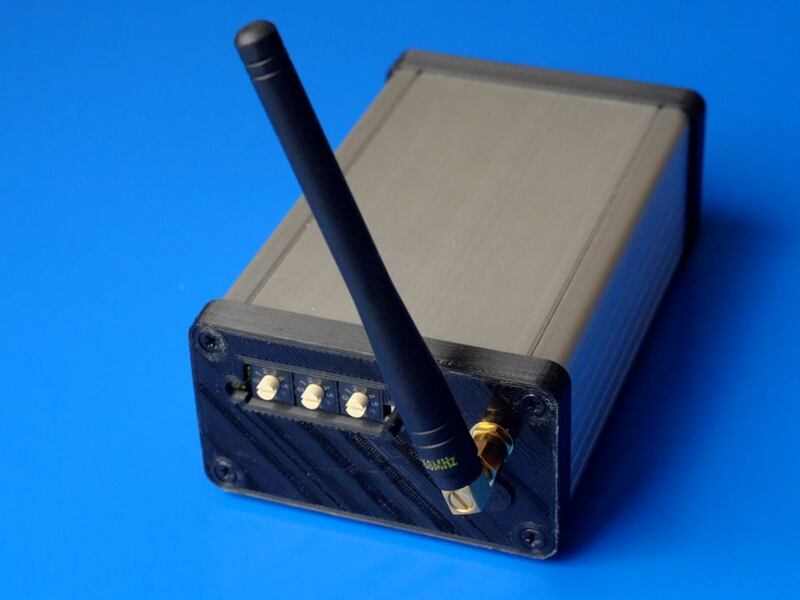 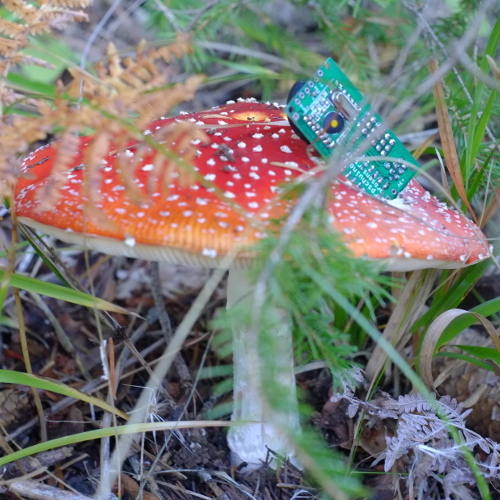 Thanks to the arpRF , the arpschuino² can now communicate by radio link with another arpschuino², arpsensorsRF or wilulu . 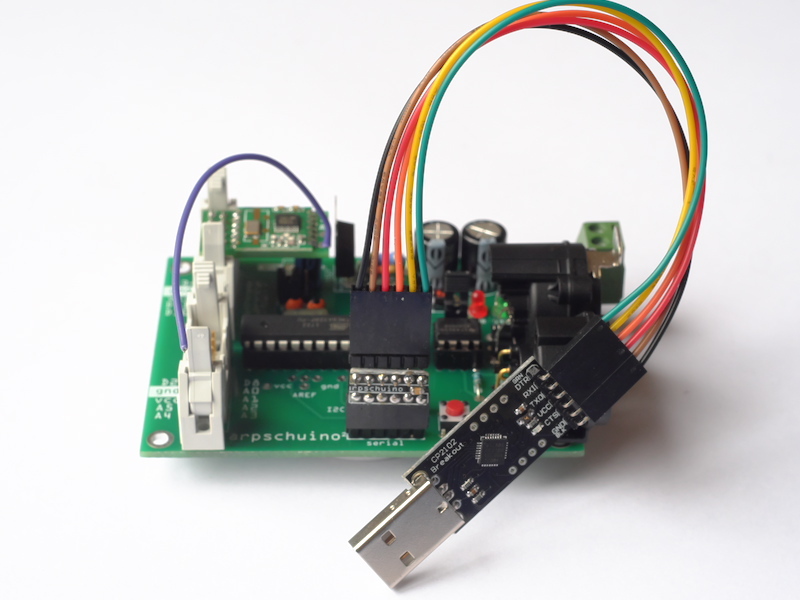 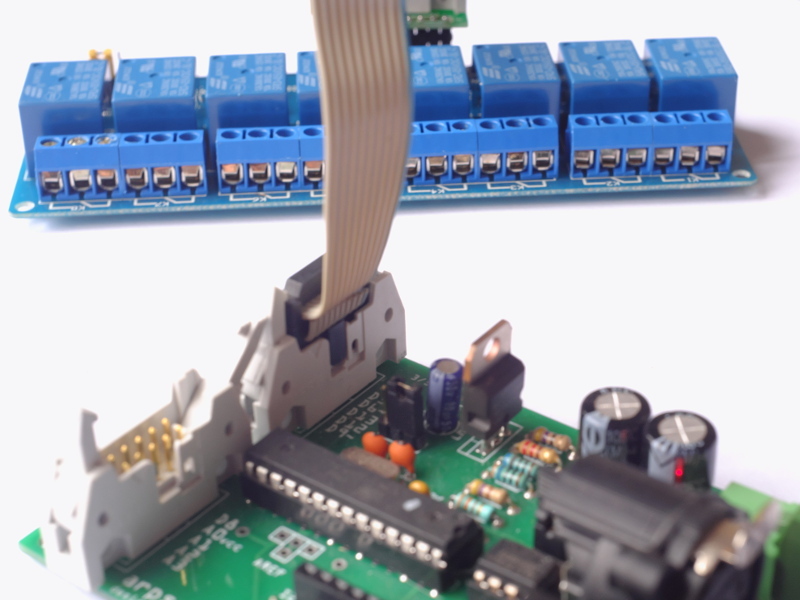 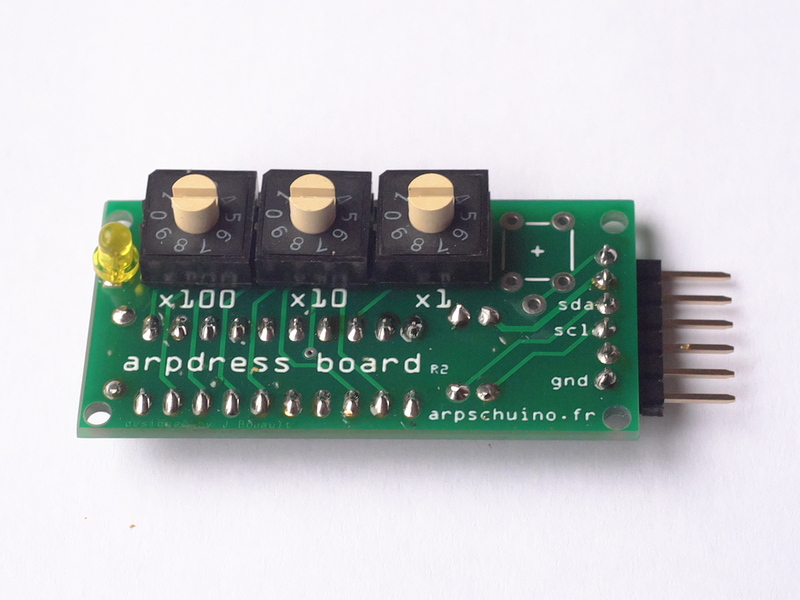 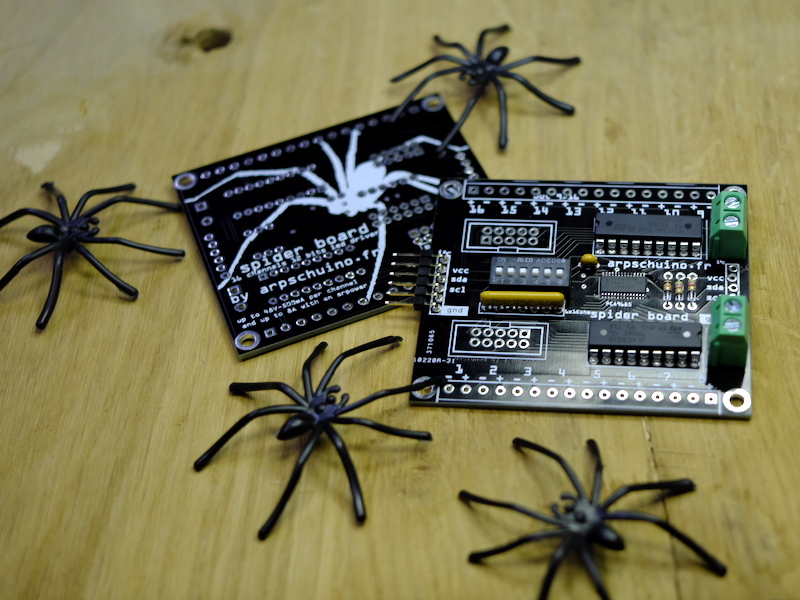 You can give an address to arpschuino with the arpdress board and program it with the USB>serial or an other USB>TTL adaptator. 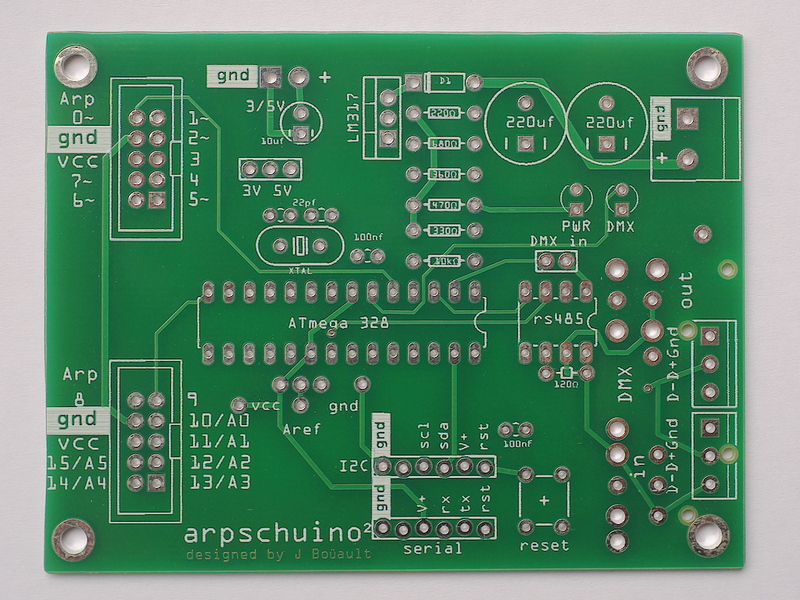 The arpschuino² is supplied in kit to assemble yourself. 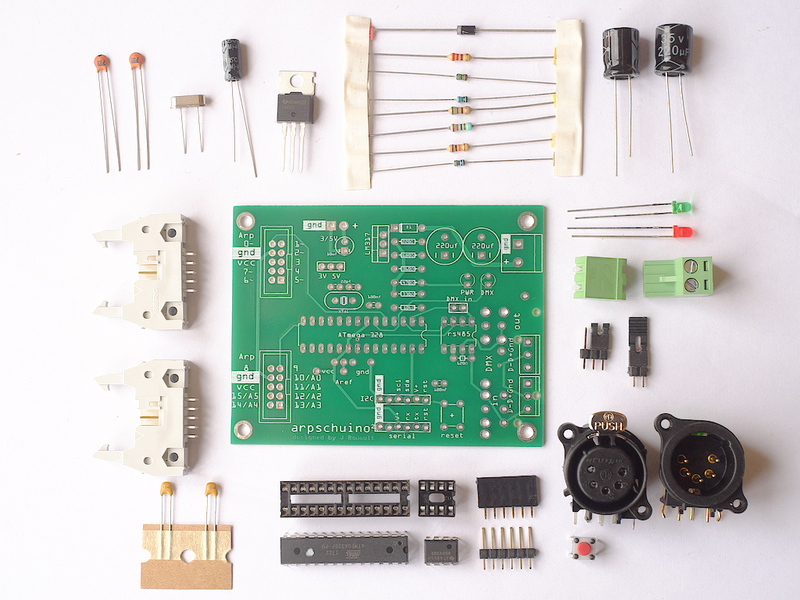 We can do the job for you on request. 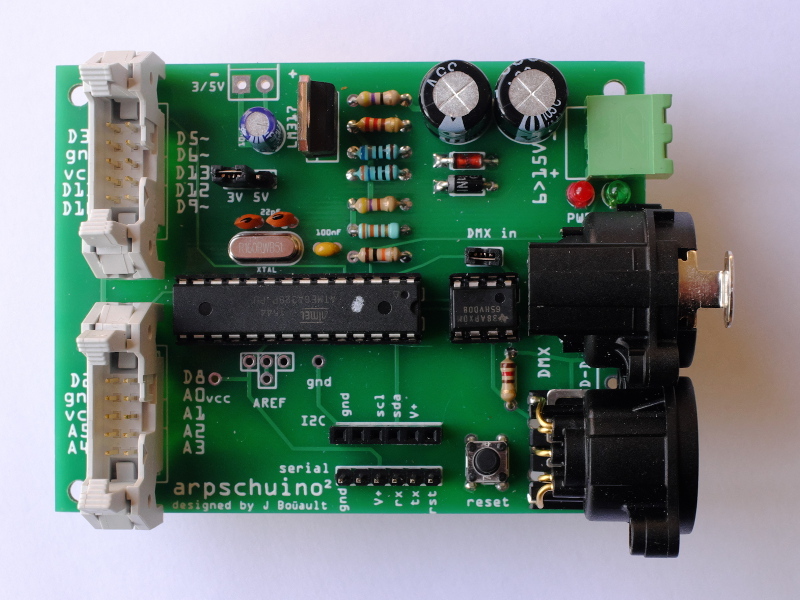 Possibility to add an optional pre-regulator to supply the arpschuino² in 24V. 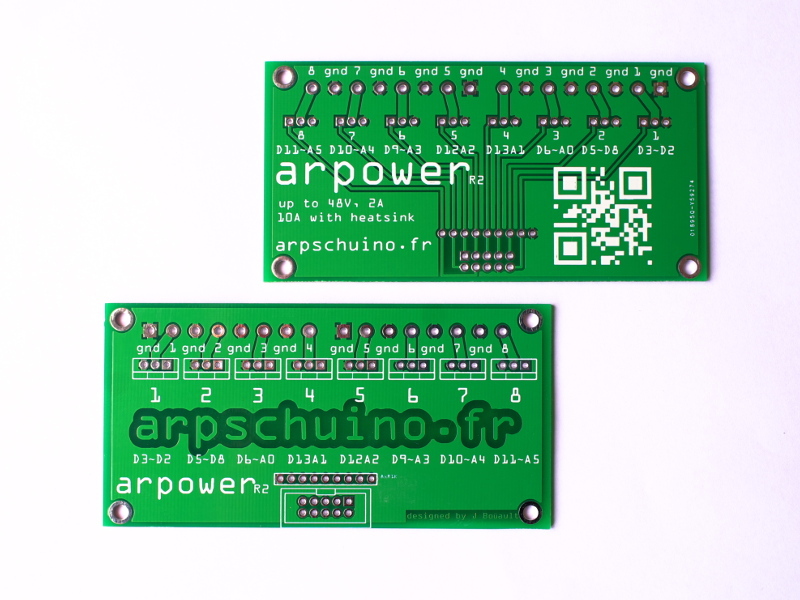 New I / O marking compatible with the arpschuino core. 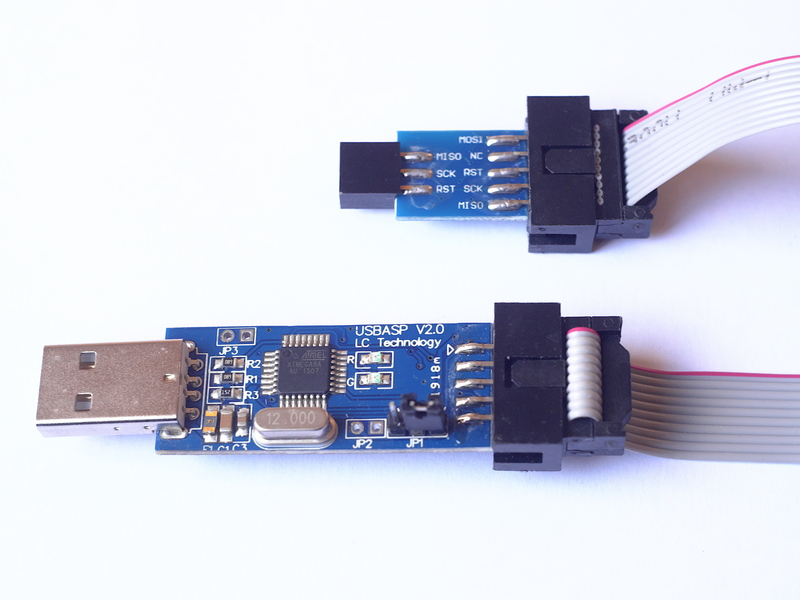 Addition of a capacitor on the reset line of the serial port : No more need for an adapter with the USB>serial . 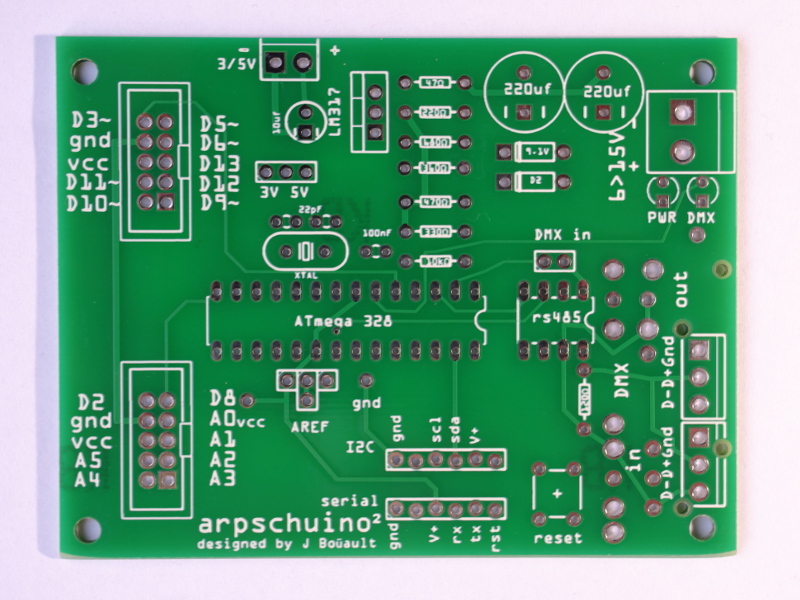 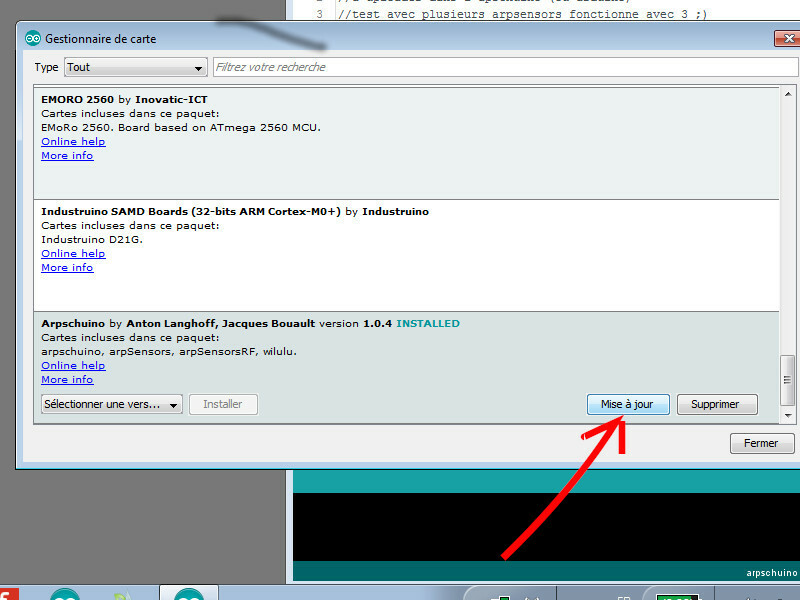 Reset on the I²C port, allows a remote reset with the arpdress board. 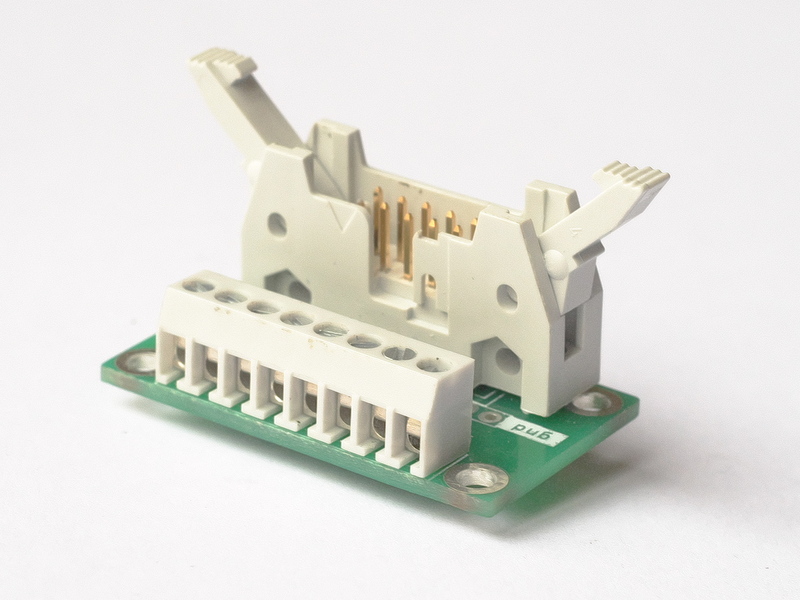 New 1W resistor for regulation. 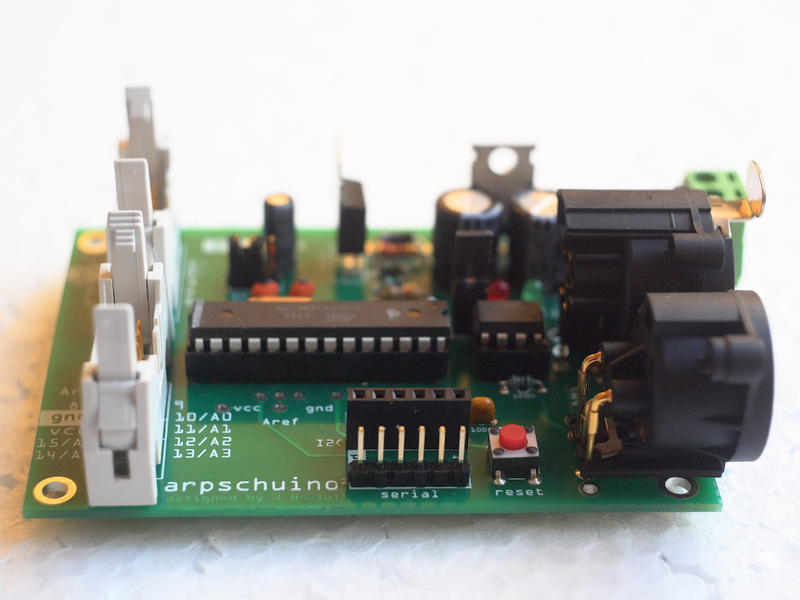 The arpschuino² R2 can be equipped with either XLR 3 or 5, or classic green connectors. 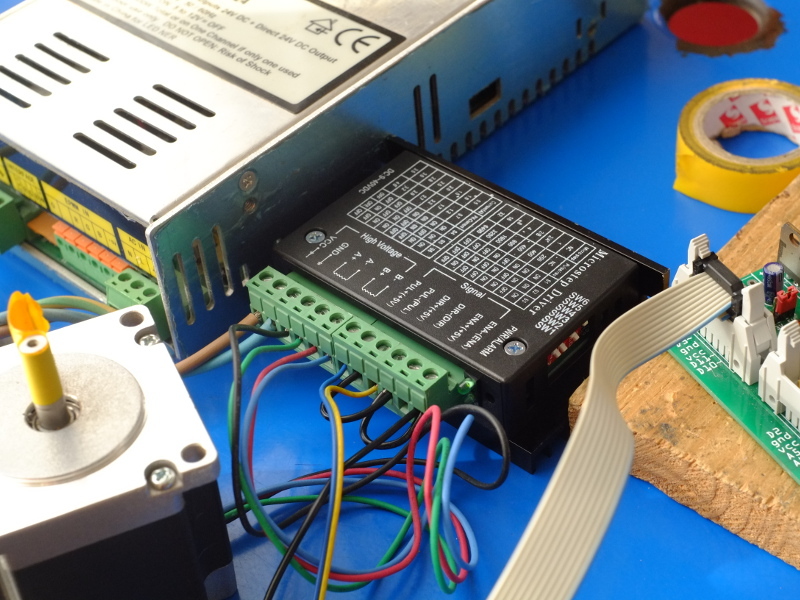 Protection against reverse polarity has been improved: the first capacitor is now downstream of the protection diode. 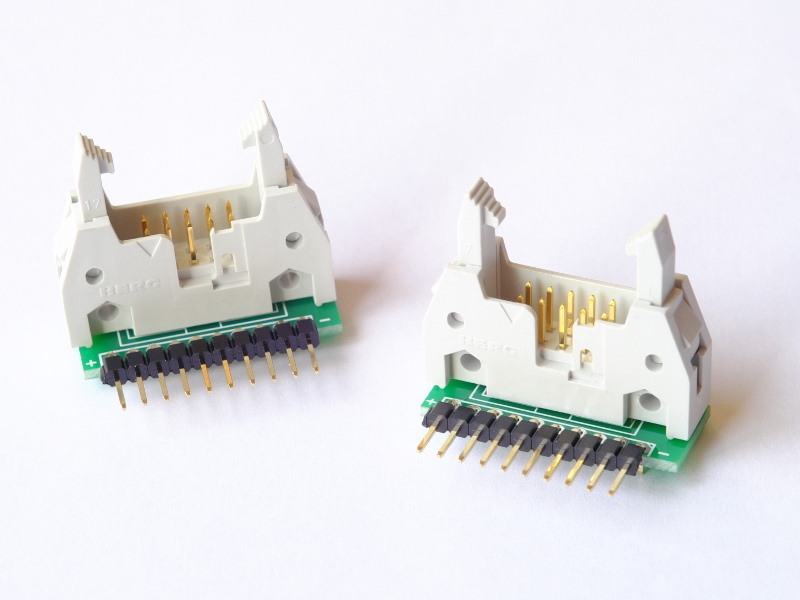 The fixing holes have been enlarged for the use of M3 screws. 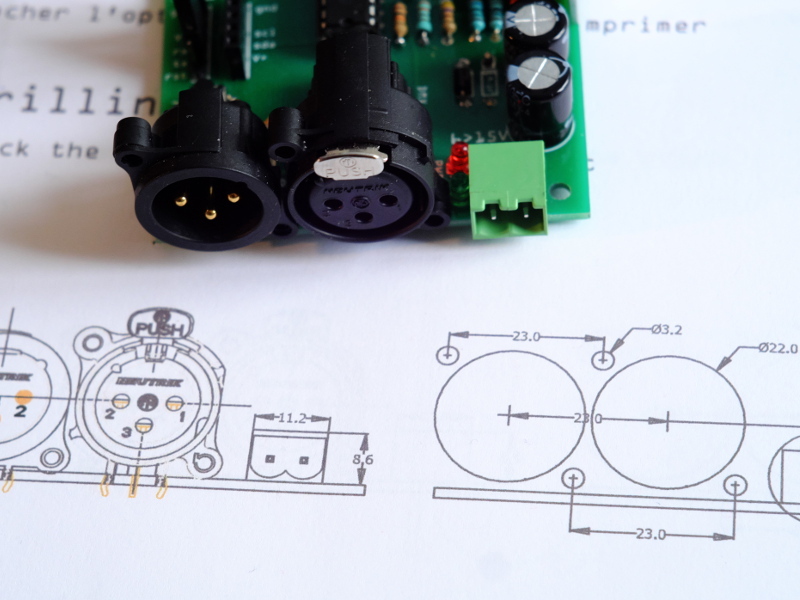 A multi-turn potentiometer can be added to precisely set the analog reference. 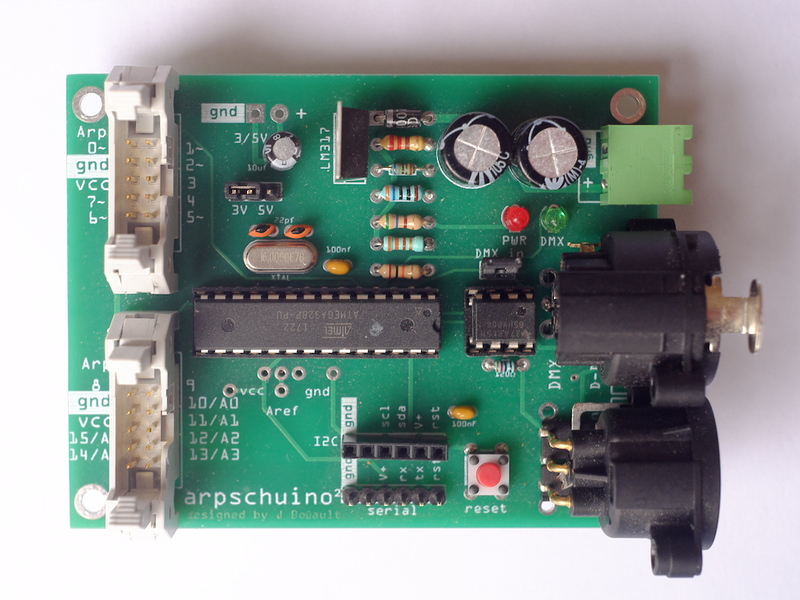 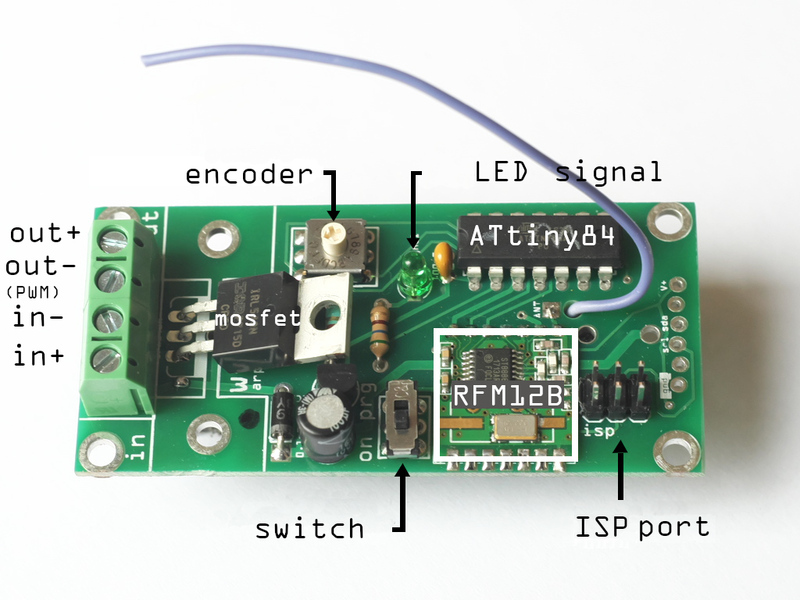 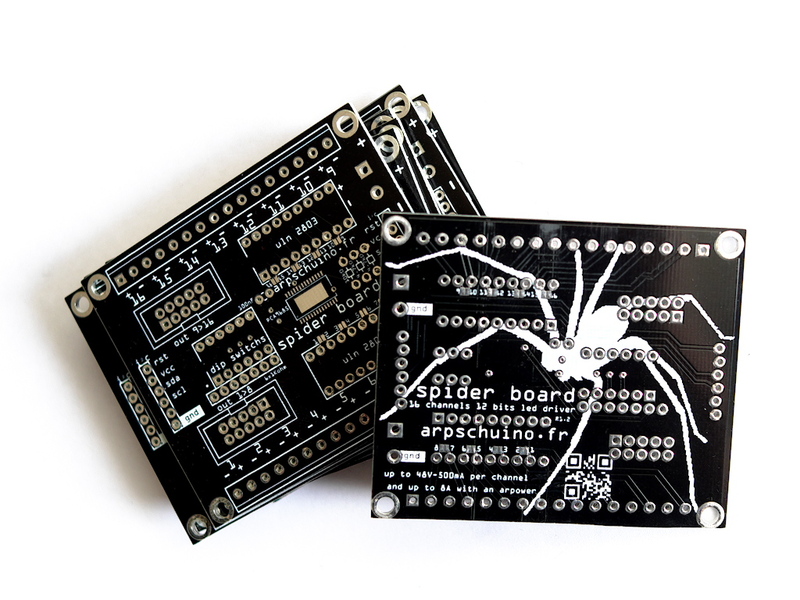 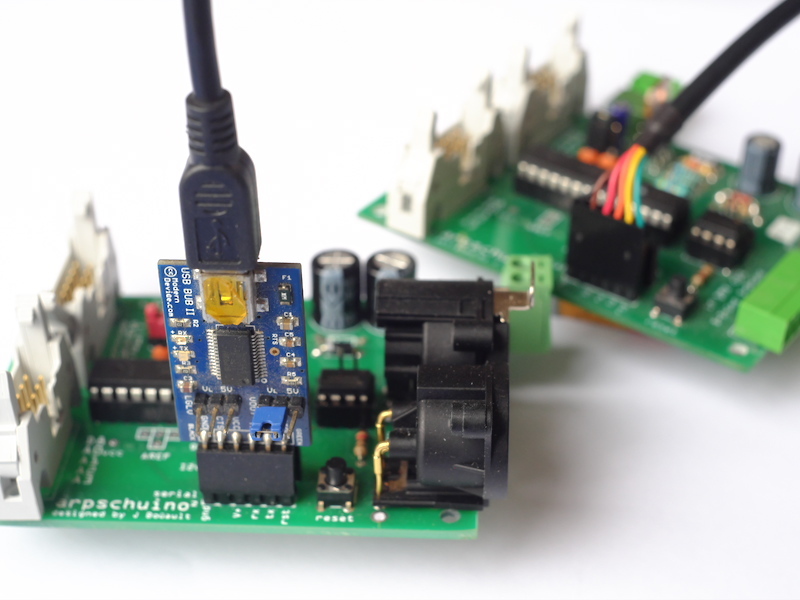 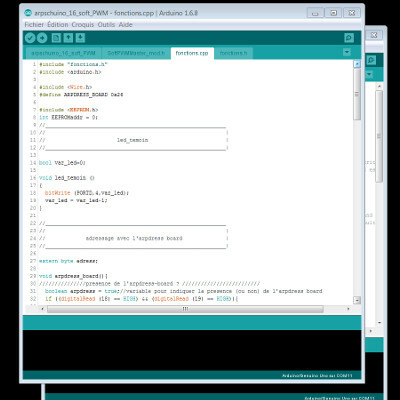 Arpschuino² can work in 5V or 3.3v, making it compatible with most current devices. 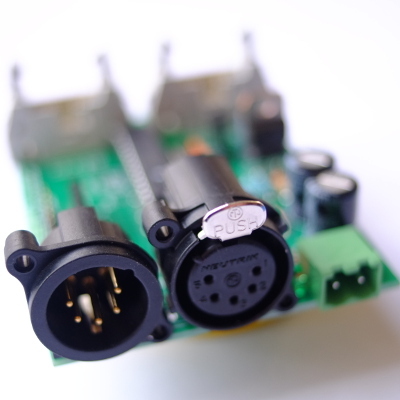 The HE10 ports can now provide power supply to devices. 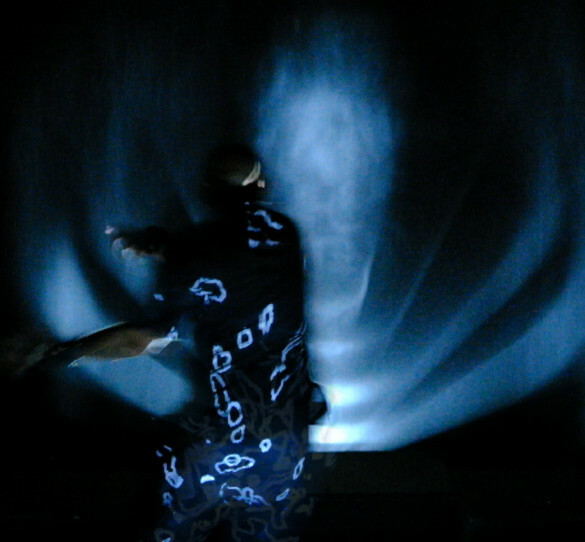 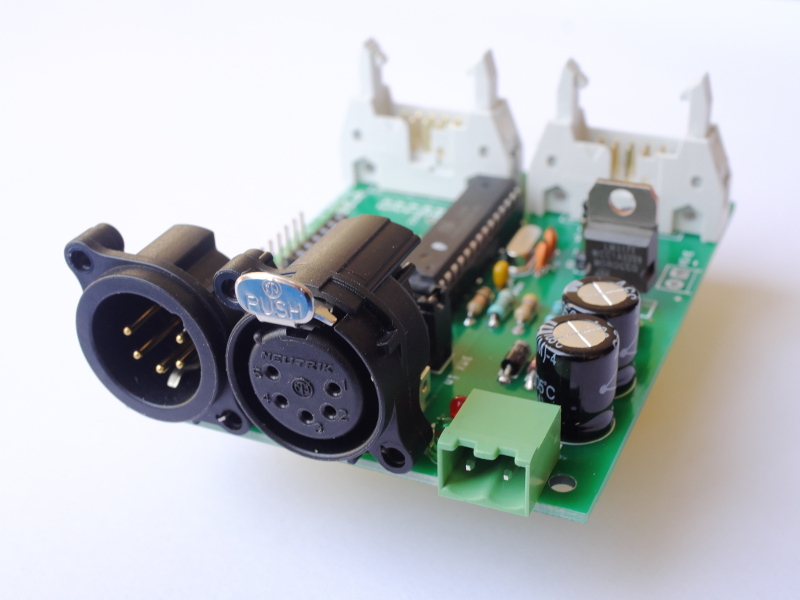 The DMX out is working without jumper, so he was deleted. 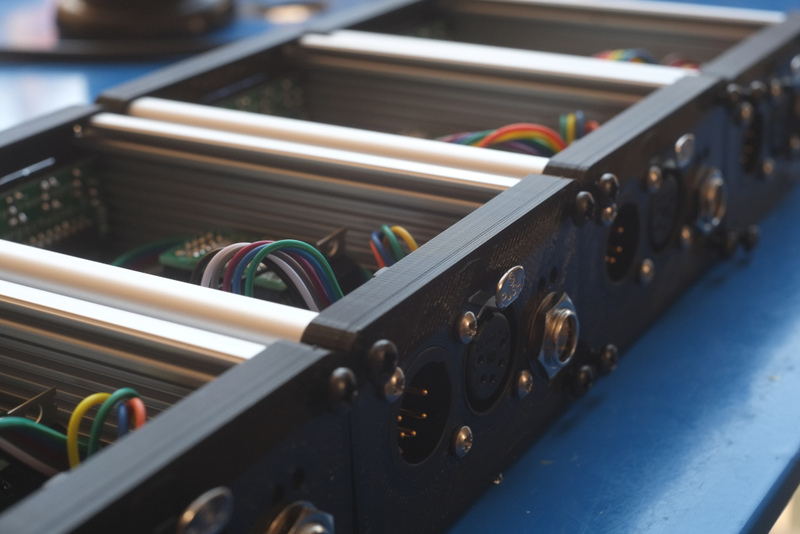 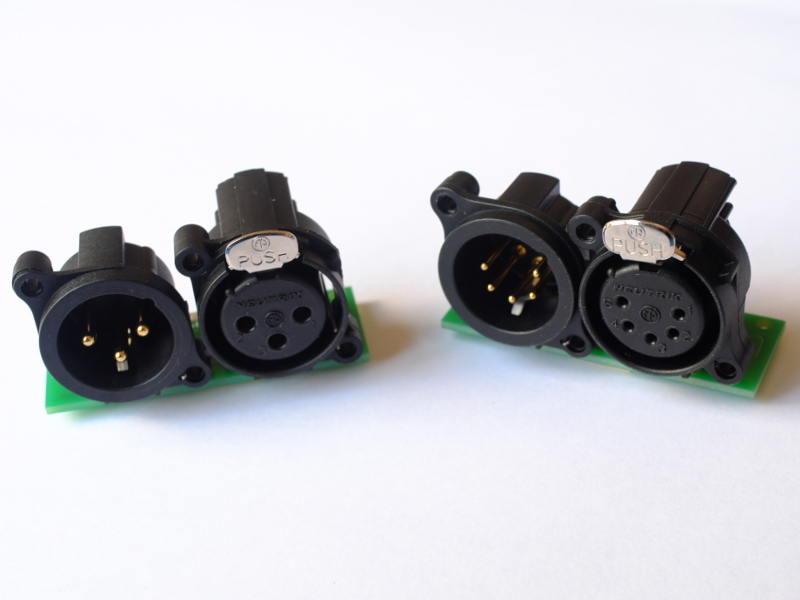 DMX and power connectors are now flats and the LEDs have been displaced to facilitate an enclosure development. 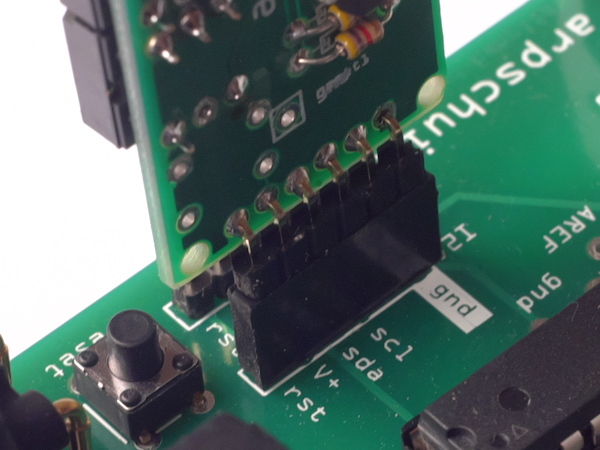 A slot for 2 resistors allows to change the analog reference, using a voltage divider bridge. 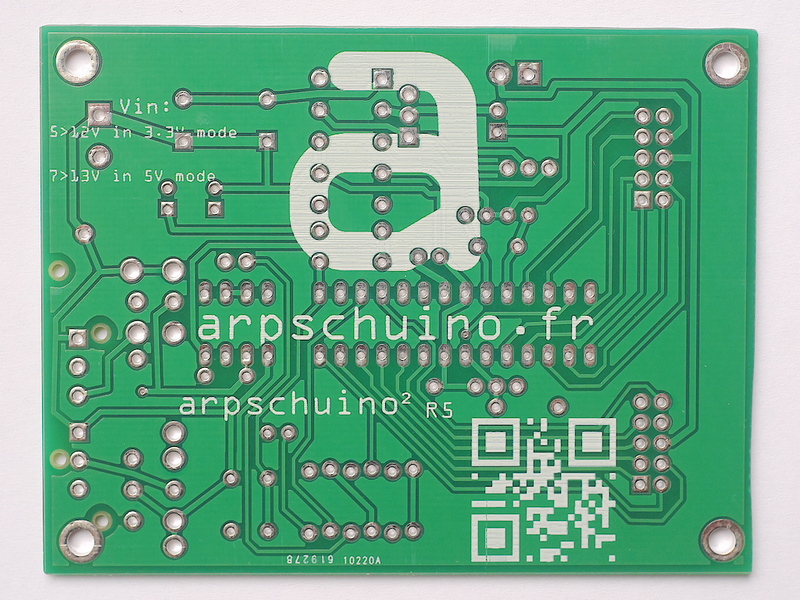 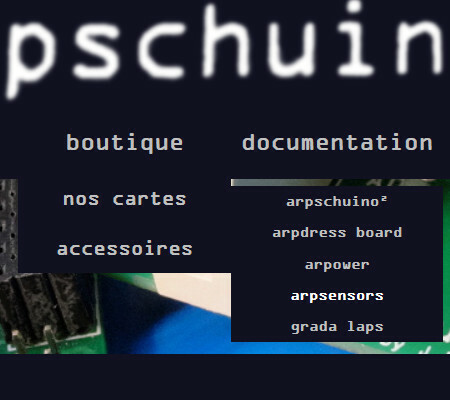 The devices and source codes used with the arpschuino V1 remains compatible, without any modification. 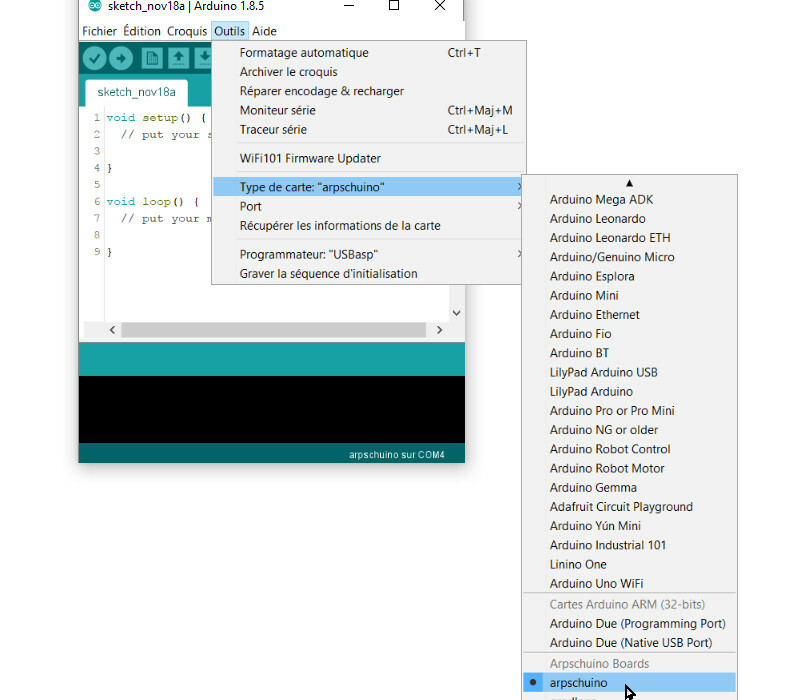 The default code does not change.